We hope you’ve been following along as we journey through the cuisines of different cultures. We’ve finally arrived in France, a culture renowned for its food. Where do we begin? At breakfast, of course. And no French breakfast would be complete without a selection of fruit preserves from Bonne Maman. The traditional Parisian breakfast will commence with a bread item, perhaps a toasted brioche tartine with cultured butter and wildflower honey. Add to that a warm croissant and an espresso with a dash of milk. Your choice of jam will determine the character of your meal. A tablespoon of Bonne Maman’s Lemon Curd will transform your buttered tartine into a smooth, rich treat you’ll need to close your eyes to savor properly. A dollop of their Raspberry or Apricot Preserves applied to the croissant, on the other hand, will provide a jolt of sweetness that will contrast nicely with each sip of espresso. According to the experts at Bonne Maman, they “don’t make jams.” Fruit jam, it turns out, is traditionally made using crushed and pureed fruit. 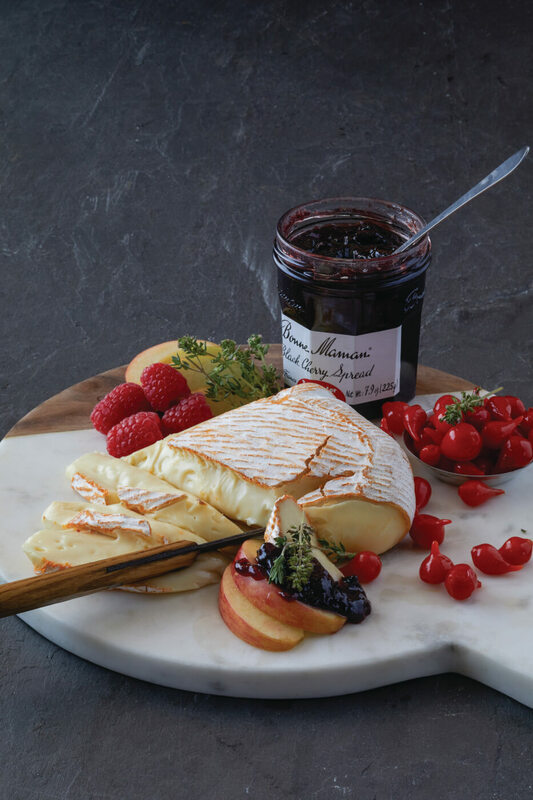 At Bonne Maman, they use whole berries and fruit to make their preserve, which makes for a stronger flavor and a more complex texture. We’re featuring Bonne Maman’s entire line of preserves this month. We’re stocking time-honored classics, such as their Apricot and Raspberry preserves, as well as preserves you might not have tried, such as their Mango Peach, and their stunning Golden Plum Mirabelle. The French mastered breakfast long ago. Now it’s your turn.